This bestselling classic cookbook by Singaporean cookery doyen Sylvia Tan provides recipes for the well-loved dishes of Singapore and traces the development of the culinary heritage of the food paradise. Some 15,000 copies in multiple printings have been sold. This reprint, with a refreshed and brighter cover, includes four bonus recipe cards printed on the front and back covers of the book. 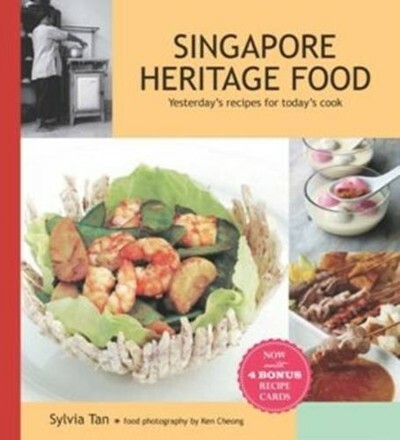 The recipes and information in Singapore Heritage Food are divided in the following categories: The Colonial Heritage The Snackbar Era The Cantonese banquet Street Food Singapore Fusion Ethnic Supermarket This is a book that will continue to appeal to those interested in Singapore cuisine and Singaporeans abroad.